The basics are now all in place and tested with some further quality control happening over the next week before the initial Early Access launch. This is the first of many development blogs updating you on the progress for the game and what is to come in the future. As ever you can vote for features you’d like to see on the roadmap which is linked on the main menu. The basic gameplay mechanics that should be expected have been fully implemented such as catching and throwing. They have been tweaked a bit to try and get some balance in play testing such as increasing throwing power and decreasing the distance the ball can be picked up. This will no doubt require further tweaking to improve it and get better balanced as the game comes along so please give any feedback on these areas if you have any recommendations. Another addition in this area is some client side prediction, this means that actions happen on the client immediately and sync up with the server when possible, this gives the feeling that actions happen when the user performs an action even though that action usually has to go through the server first. It feels much more natural but has the disadvantage of the balls potentially not being in the same place as the server which is where scoring happens. Occasionally you might look like you hit someone on your side but this will not be recorded as a hit, especially in high ping servers. The solution I used was similar to that used by Valve in the source engine for their multiplayer games, although this has had to work around the non-fixed physics time step which is used in UE4. This means you can roll back time to check if the ball did actually hit like it did on the client. This is explained in more detail on the Valve Software Wiki. I plan to implement this solution in the future which should achieve the same smoothness as Garry’s Mod but with the hit detection of Counter Strike, ill be working on this once ive added more features and content so expect this at about 0.4. 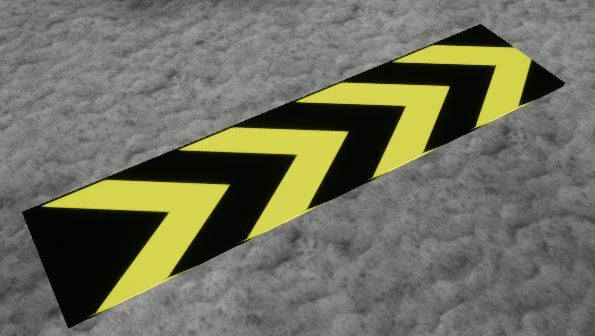 This launches the player in the direction of the arrow. Launches the player straight up. Not currently used in any map but might be added at a later date. This increases the running speed of players when on it. There are 4 starting arenas or maps included with this version of Dodgeball. Each has their own unique play style and things to look out for. Gym is like a school gym recreated within a futuristic city as seen outside the window, its a completely open space which is designed for a fast paced gameplay. Its the smallest map of them all and has no arena elements in it. 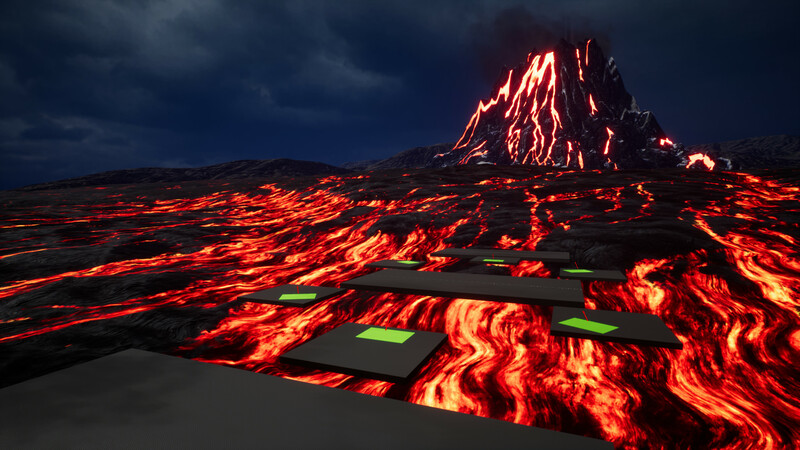 Play above a lava field created by a nearby erupting volcano. Jump between the different platforms and be careful to not fall between them. 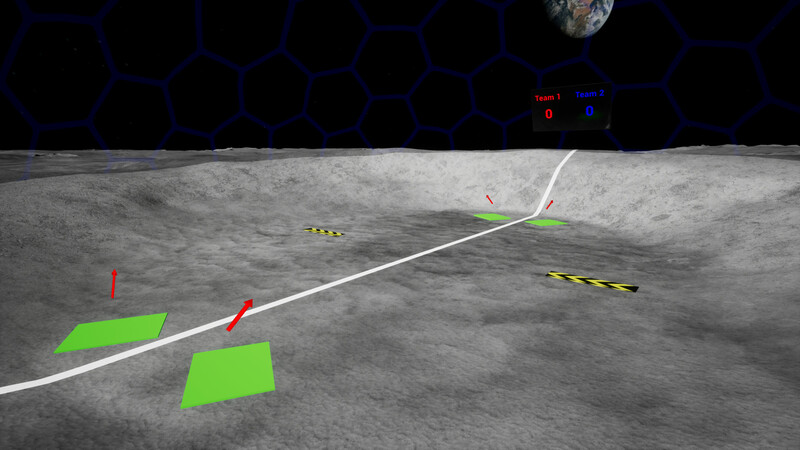 Play in a crater on the moon, this low gravity environment means that jumping comes with a much higher risk as you’re in the air longer with less control. Play next to a small island on small platforms. If you fall into the water you get slowed down so try to stay on the platforms where possible! These are features you can expect in future releases, aspects of them might of already been released but are still be improved on. You can currently spectate in games and if you join a game after its started you automatically become a spectator. You can move around the arena but there isn’t many other options. An improved spectator is planned for either 0.2 or 0.3. The lobby currently lets players host their own server and players can join. You can also set things like passwords to create private lobby’s and custom game settings like the number of rounds or balls. A dedicated server lobby is almost completed where this is all automated so that no admins are required. Other features are needed to mean there is no need for admins such as vote kicks and map votes, currently there is just a map rotation which changes at the end of every game. There are a few issues with UE4’s Steam implementation which causes dedicated servers to not work with Steam, this is going to require a re-write of this system and therefore dedicated servers won’t be introduced in this version, however im planning to contract this work out so it will be done by 0.3 at least, hopefully sooner if possible. Both text and voice chat are planning on being implemented in the future, currently there is text chat but there are some issues with this. Text chat should be fully working by 0.2 after some more testing for issues. Voice chat is needed for most team based games, and will need to be implemented especially when dedicated servers are around. Voice chat should be in by the 0.3 update. Currently Dodgeball uses only dynamic lighting which is calculated at runtime, this helps with iteration time on the development side but requires the end user have a good graphics card. The solution to this is changing it to use ‘baked lighting’ which is going to require some more setup but should improve the performance especially on lower end devices and on certain maps like Island. These changes will probably be made in the 0.2 update. 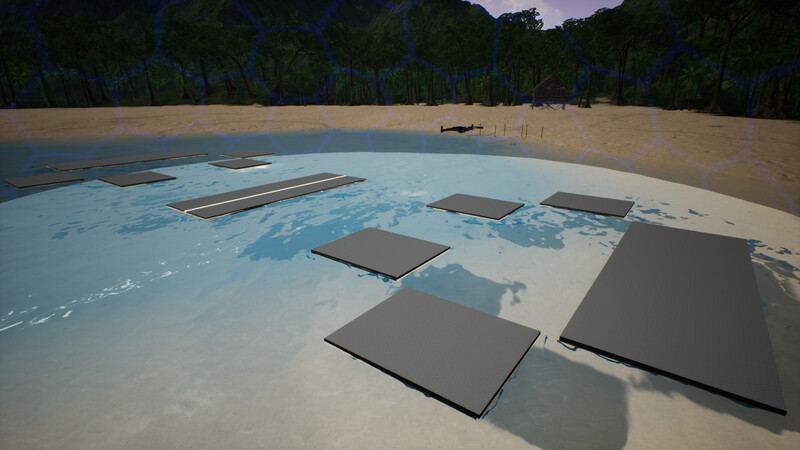 Other changes will include adding more custom objects and improving the general look of maps. 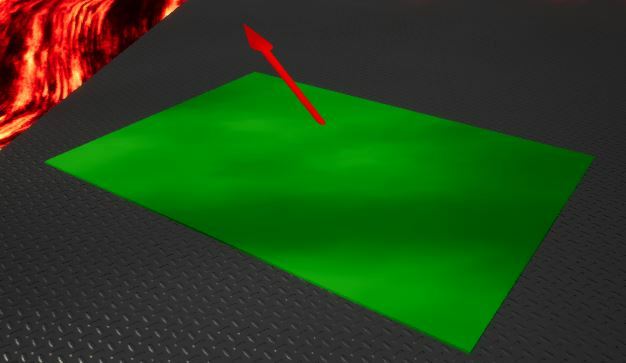 Currently items are built using simple objects and textures but I hope to add more to maps to make them more interesting. The biggest makeover in the works is for the gym such as adding some grandstands and other items you’d associate with a school gym to give it more of a gym appearance. Other maps are coming such as Stadium which is going to be inspired by Rocket League’s main map and have a large cheering crowd. When you die you see from the other players perspective how they killed you. Also adding a replay system which records your games so you can replay them back if you wish at a later date to relive some of those great moments! Im planning to put this into the next version of 0.2 but will probably need some refinement after that version. There are a few other gamemodes in the works which will be slowly added and tweaked over time. The next version should include one small gamemode at least but more will be coming. Check the roadmap for gamemode updates. Similar to the dedicated server stuff, there are some other aspects that will be improved alongside that such as better Steam integration. This means features such as joining off friends will work correctly, and also includes more achievements and stats. This will be implemented at the same time as the dedicated server stuff so isn’t far away now. Thats all the updates for this version, of course there will be various hotfixes between updates should issues be discovered. Please check the roadmap linked in the menu to see what has been confirmed for the next version, the next update will be out in a month or so, maybe earlier depending on when enough features have been completed and tested. You can try some of these features in the development branch available on Steam, if you post feedback for a development branch version please make that clear in your post or report. Thanks for the continued support and I hope you enjoy the game and the direction its going.